Gene & Georgetti in celebration of their 70th Anniversary, created a documentary about its rich history with help of the talented duo Steve and Ton-essa of Loudbyte Cinematography. They wanted to capture the history and essentially the very essence of the restaurant, and what has brought it through these last 70 years. Gene & Georgetti was founded in 1941 by Gene Michelotti and his partner Alfredo Federighi, who was nicknamed "Georgetti" after a famous Italian cyclist. Located in the heart of River North, Gene & Georgetti is Chicago's oldest and one of its finest steakhouses. 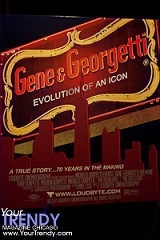 Partners Gene and "Georgetti" worked hand in hand to establish the reputation of excellence that is continued through today. A recipient of the DiRona award in 2001, (Distinguished Restaurants Of North America) - established in the 1990's as the only non-profit inspections program in the world to exclusively evaluate fine dining restaurants the United States, Canada, and Mexico. 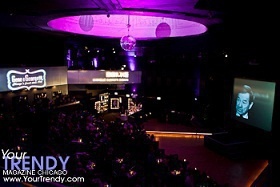 Gene & Georgetti is proud to be the first steakhouse in Chicago to have won this prestigious award.